My friend and I sat on the curb, sweaty after a long walk. For the past few days, we had been studying Romans 8. As we walked, she spoke out loud the words in Romans 8:38-39. Nothing can separate you from God’s love. Wait, nothing can separate me from God’s love. These were words that, until that moment, felt like they were for everyone else. Have you ever had a moment when truth is suddenly clear? You’ve tried to figure it out on your own, perhaps for years. It feels as though everybody else “gets it” except for you. That’s how my friend felt until the message in Romans 8 leaped from the pages and settled into her spiritual DNA. Why did she believe it? The reason that any of us fall for a lie is that it feels true. For my friend, a lie had led to an assumption, which become a belief, which produced actions (or inactions) that impacted her life and identity. This is one lie we often believe. Maybe an adult spoke that over you. Maybe you started to believe that lie because you tried to change, and it didn’t work. Perhaps that one mistake still haunts you, even though you have changed. So you begin to tell yourself: This is just who I am. That’s the assumption. It settles into your identity as truth. You hear scripture that tells how much God loves you, and you point out all the ways you don’t deserve it. You try to do everything well, but you make a mistake so you beat yourself up. Or maybe you just give up entirely. How do we counter these lies? We are free to be exactly who God says we can be. When I was younger, I didn’t let women get too close. If I was in a grocery store and saw someone I knew, I’d make a beeline for the dog food aisle, hoping they’d go the other way. The lie was that I didn’t have a lot to offer. I didn’t have anything important to say. I worried that I’d say something goofy. I was shy. I was introverted. . . the list of my beliefs was long. The truth is I am free to be who God made me to be. Sometimes shy. Mostly introverted. But also a really great friend. Loyal. Fun (that’s the goofy part). As I confronted the lies and assumptions with truth, my belief system shifted and so did my actions. The words I spoke over my own heart changed. As I accepted me, I was able to accept others as sweet friends, because the truth is we all have quirks or differences, and we all have strengths. There is no perfect friend, or perfect woman. 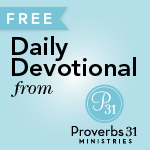 What is that half-truth or outright lie that has weighed you down? Ask God to help you recognize it. Confront it with truth. As you do, it will begin to shift the way you think, which shifts the way you live, for when you know the truth, you are free to live the truth. Suzanne (Suzie) Eller is a Proverbs 31 Ministries writer, a bestselling author, speaker, and blogger. 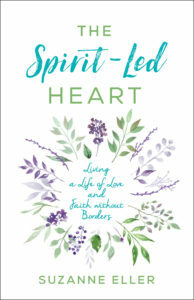 Suzie has written a new book, The Spirit-Led Heart: Living a Life of Love and Faith Without Borders. This book shares that we have a Helper. We have what we need to live with a Spirit-led heart. Thank you! Great Treasures to find, seek and knock. Would love to read sitting in the park, on a boat or under a bridge. I must read this book. t.
Thank you for your encouragement today. I often feel less than. I needed to read your words this morning! Lord, thank you for Janice. Encourage her with truth today. We discard every lie of the enemy. Every lie spoken over her heart by a broken person. In Jesus’ name. It is so important to refute the enemies lies with God’s truth. I need to read this book! Have been following the posts and it’s a real source of encouragement. Really need to dig into the book. Hi, I am following Suzie’s posts as she leads us through the book of Acts. I would love to have the book, too. Thank you for the giveaway. I too for so many years, believed the lie, I had nothing to offer. Nothing special to add to a friendship with others. WOW! Super timely!!! Am I worthy of being loved? WHY YES I AM!!! Thank you for this post!!! I would love to read this book! This is a great post. Thank you! 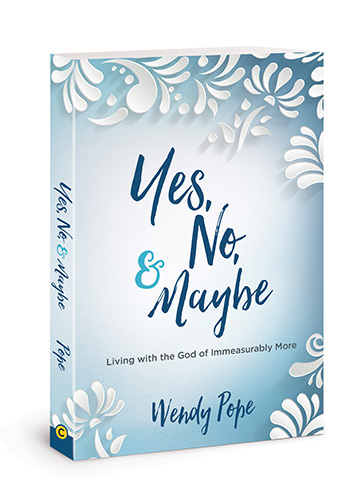 I have struggled with the belief that God’s promises are for everyone else for a very long time and still do. I’ve finally learned that I hate myself so much that I find it impossible to think or believe that I have anything to offer anyone, or that the God of the universe could love me. And that’s where I’m stuck. 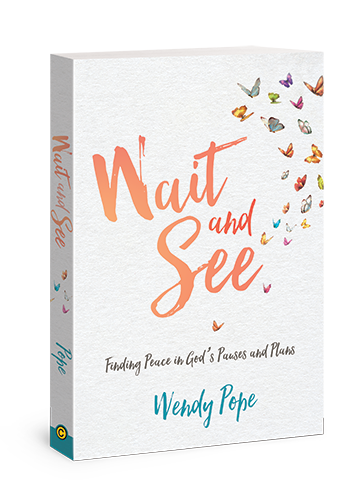 Oh Kimberly, I hope you’ll slip over to http://www.tsuzanneeller.com/spiritledheart and download the first two chapters of this book, as well as the truth/freedom table that lists truth that confronts those lies that tangle us. Thank you so much for your kind words and for speaking the truth. I will definitely check out the link and the truth table. Blessings! Great lesson, wendy. All throughout school, I was called “shy” just because I was quiet and reserved. I hated that label and how I carried it with me. So glad I found a way to shake off that lie. Gods unending love has caused my confidence to really be strengthened over the years! I think sometimes I am an introvert. I have not been an introvert all my life.I am praying for God to help me get past all this shyness and to help me be a beter speaker and to use the right words .Maybe that is why I became an introvert.I know God will lead me back to smiles and helping people to smile. Praying that for you today. Stay up-to-date with the latest blog posts delivered right to your inbox.